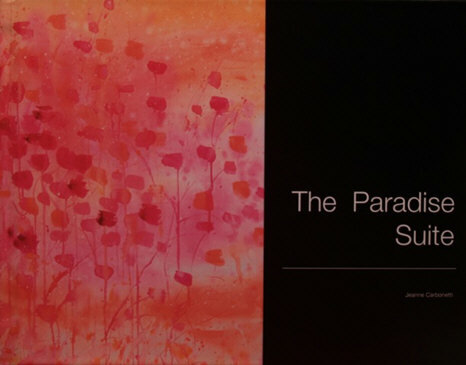 This coffee-table type book includes fifteen full-page, full color images from Jeanne Carbonetti’s Paradise Suite paintings, as well as the original poems she composed to accompany them. This group of figurative paintings, part of a series of more than 100 produced between 2007 and 2012, has as its central theme the unification of the male and female strengths found in us all. You can view these paintings, protected by watermark, in the “special exhibit” section of the website.